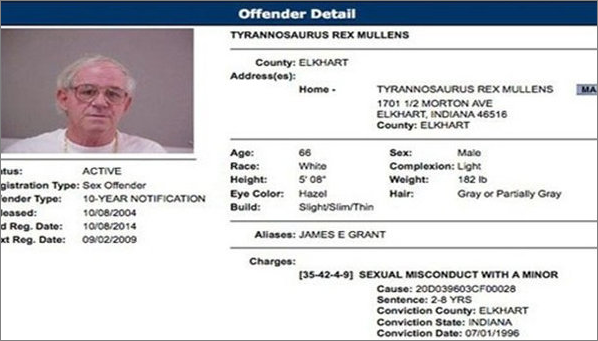 The trooper investigation now hinged on the interview of the man who went by the name of T. Rex Mullens. Under close questioning, Mullens revealed that he personally drove Chris Heyman and Johnny Coulthurst out of Alaska. They drove, he said, from Nome, Alaska, down through Washington State. And drove that distance in a period of twenty-four hours. Quite a drive, by any standard. Two things were now clear: this man didn’t know his geography and he didn’t know how long it actually took to drive from Alaska to the lower 48. On further questioning, the man revealed his full name. He told them the ‘T’ stood for “Tyrannosaurus,” as in Tyrannosaurus Rex Mullens. After the local police busted him for filing a false report, moreover, Mr. Mullens revealed one additional piece of information. He told local officers that, if the troopers were interested in finding additional evidence, they should look underneath the cushion in his sofa. What Sgt. 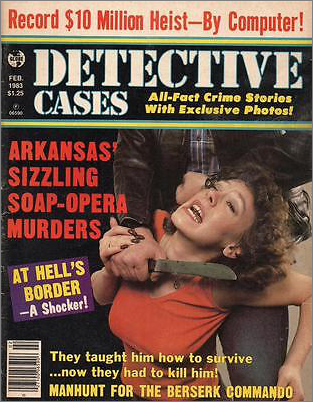 Stogsdill found under the cushion was a magazine called Detective Cases. And in it, he found an article entitled, “Mystery of the Sailing Skeletons.” Everything T. Rex Mullens told them had come from that article. And so it was that a seemingly innocuous article had perpetrated a mean-spirited hoax. Armed with a few facts, T. Rex Mullens had insinuated himself into the middle of the Investor homicide investigation. He had succeeded in dragging three Alaska State Troopers all the way to Indiana. For nothing. ← Goshen, Indiana: New Lead or Dead End?